Installation and testing of the 67 km control umbilical connecting the Sole gas field with the Orbost Gas Plant has been completed, marking the conclusion of the offshore construction phase of the Sole Gas Project, operator Cooper Energy said in an update on Monday. The offshore project, which was 93% complete at the end of February, is expected to be fully completed, ready and available to deliver gas from the Gippsland Basin offshore Victoria to APA Group’s Orbost Gas Plant by end-May 2019. The only work remaining on the offshore project is repair of the damaged pipe section which is expected to commence in late April, Cooper said. 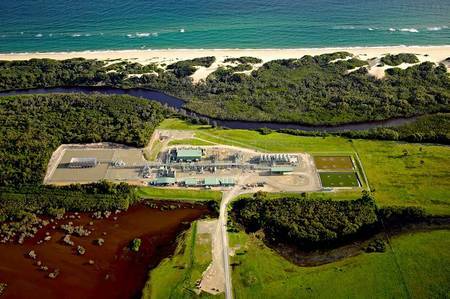 Onshore, work to upgrade APA Group's Orbost Gas Plant (previously owned and operated by Santos and known as the Patricia Baleen Gas Plant) is well underway, Cooper said. APA is currently assessing the most likely plant completion date within the September quarter and working closely with Cooper Energy to confirm timing and ensure a safe and reliable start-up for the plant. Gas supply from Sole to the Orbost Gas Plant is expected to commence prior to plant completion for the commissioning and the subsequent plant performance test. Once operational, the gas plant and the export pipeline will supply treated gas to meet the growing market demand from the Australian eastern seaboard. The Orbost Gas Plant is expected to deliver 68TJ/day into the network.